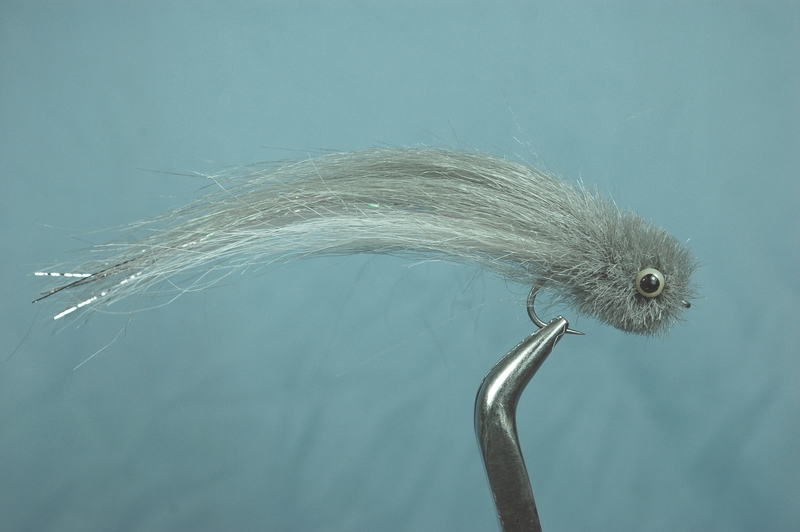 The Meaty Minnow is a new slow-sinking baitfish pattern I’ve been working on. It’s made from craft fur and flash material. 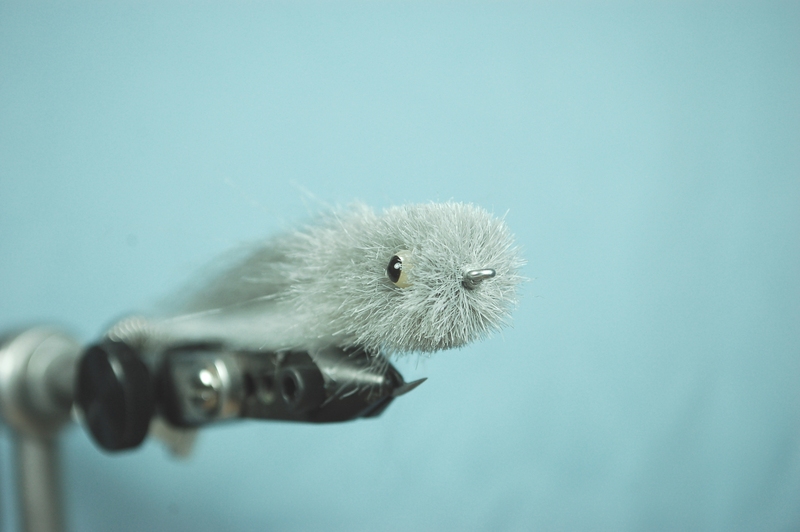 The head of the fly is dubbed from craft fur and trimmed to shape. 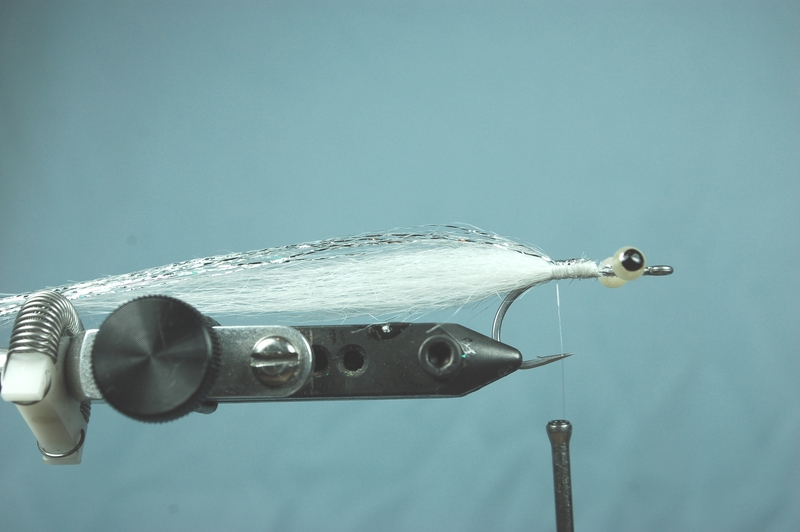 This fly can be tied in solid colors (chartreuse is great) or in multi-colored versions (shaded with Prismacolor permanent markers) like the ones shown above. 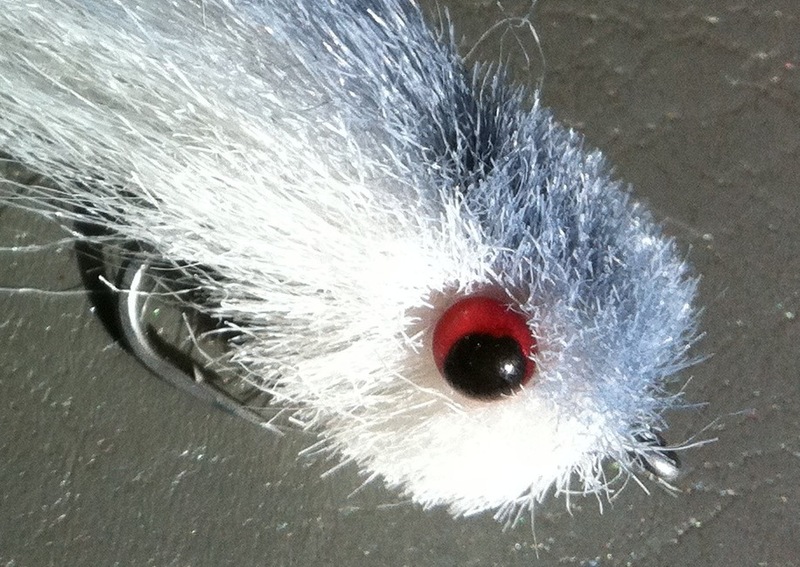 The unique eyes on the Meaty Minnow are made from strung plastic beadchain, either in solid black bead chain or colored bead chain with pupils painted on them. Learn how to make the eyes here. 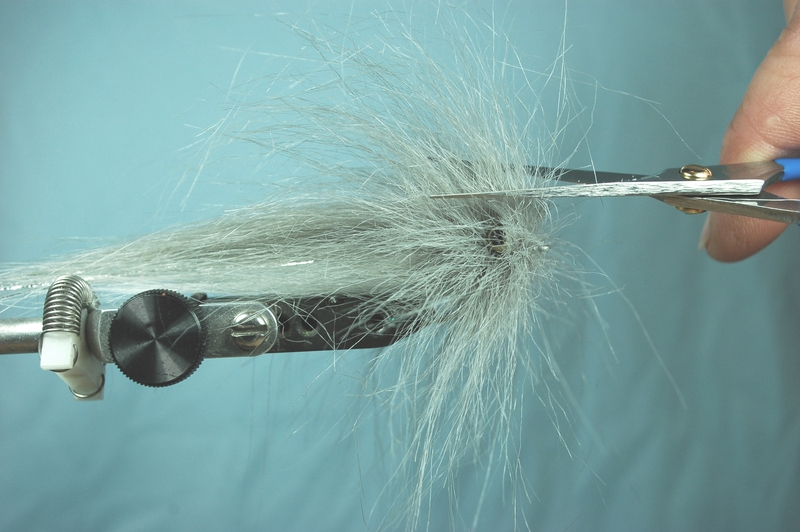 This Meaty Minnow is good for largemouth bass, striped bass, smallmouth bass, speckled trout, and redfish. 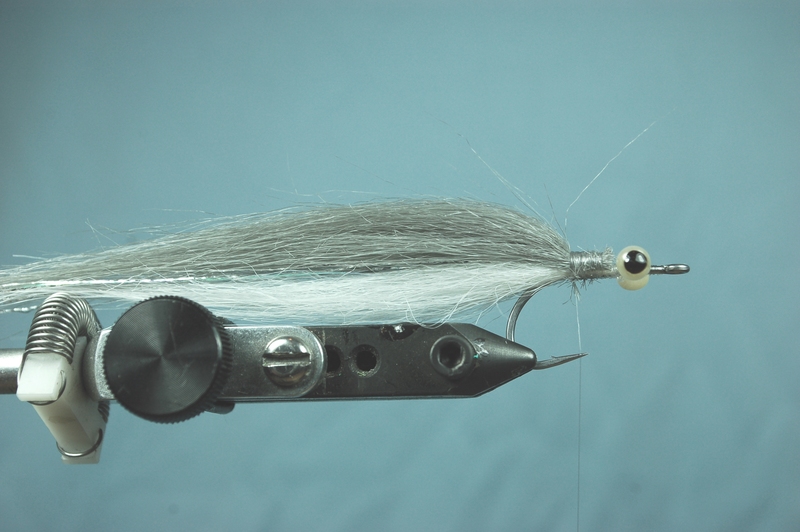 It’s tied on a Mustad C68SZ hook or a Gamakatsu Octopus Circle hook in sizes #2 to 1/0. One trick to simplify inserting materials into dubbing loop is to sandwich them between 2 business cards. The butts of the fibers can then be easily placed between the strands of the loop and the cards will smoothly slide free. Thanks for taking the time to show me the steps involved for tying your “Meaty Minnow” at this past Saturday’s GRTU Troutfest. Good lookin’ pattern. Good to visit with you at the Troutfest. Glad you like the pattern. It’s a good one, especially if you fish it behind an intermediate line. Tag a L. Travis striper or a big L. Austin bass with it! 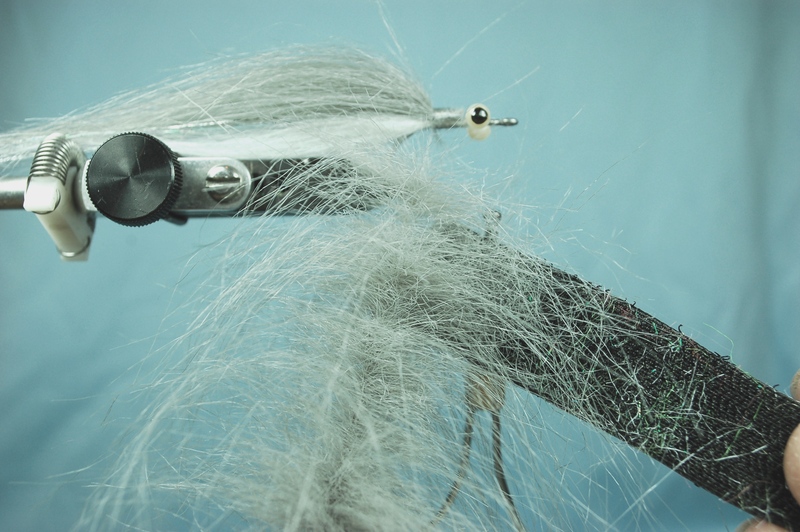 Let me know if you run into any trouble tying. You’ll find the steps to make the eyes here also. They work really well and eliminate the need for all that glue. awesome web site. 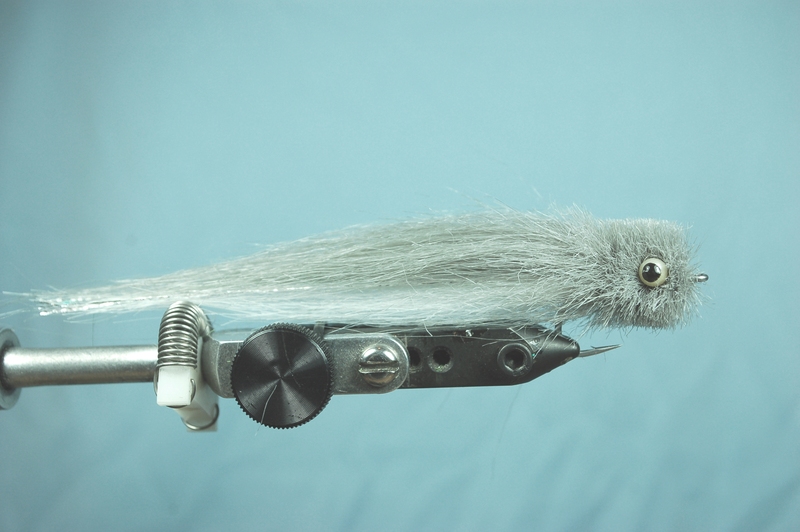 are you gonna post tying instructions on your meaty minnow? also just wondering if i could use craft fur from hobby lobby. is it the same stuff? if it is they have three or four colors to choose from. i think its long enough and could probably die it for other colors. let me know what u think. i live in oklahoma and do mostly bass fishing. thanks alot. Glad you liked the site. The craft fur I use is Rainy’s brand. It has long fibers and good texture. Years ago I used craft fur from Hobby Lobby, in white, brown, and black. It was OK, but the fibers were too short to make large patterns. 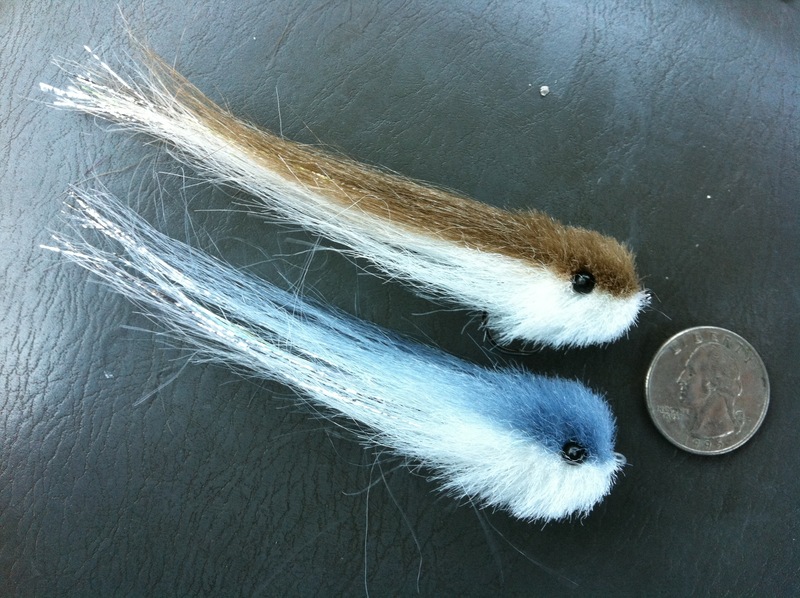 My suggestion is to order some Rainy’s craft fur from http://www.saltwaterflies.com or another online retailer in the colors you want. 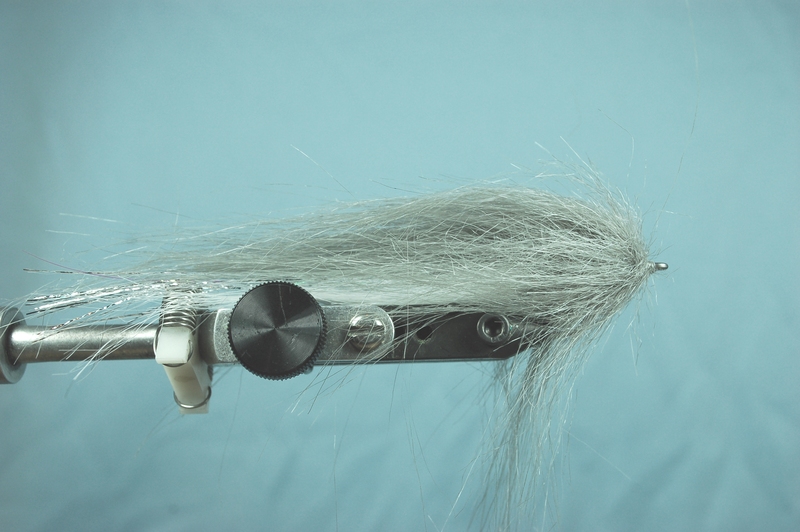 The Meaty Minnow is a terrific fly for largemouth, smallmouth, and stripers. Solid chartreuse seems to be the best overall color, with grey/white or solid tan a close second. 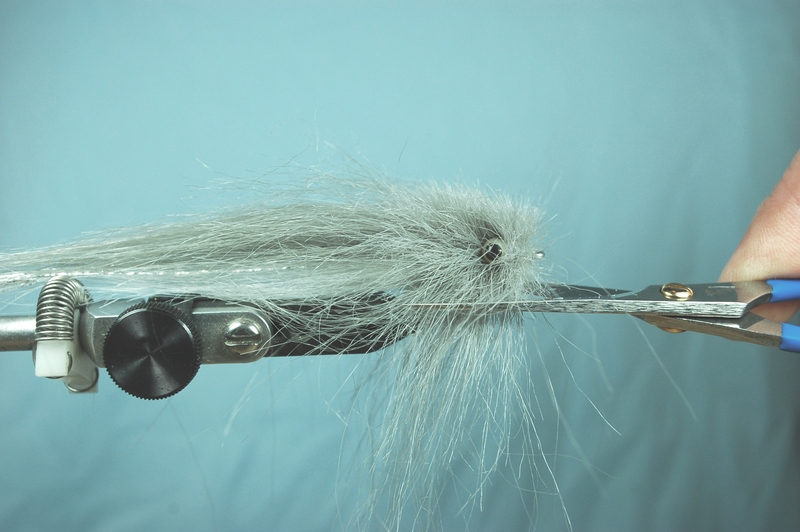 I will try to get a tying step-by-step posted soon. As a fly tier I consider you one of my mentors. There is a simplicity in your tying that I like. One year at FTU I watched you tie a fly using a dubbing brush that made while I was watching and I have forgotten the process. I would appreciate seeing a video of your method. Thanks, Casey. I remember your cutting the material but I thought that you used some tabletop gadget to put the hair into and then making a brush. Hello Ellis. 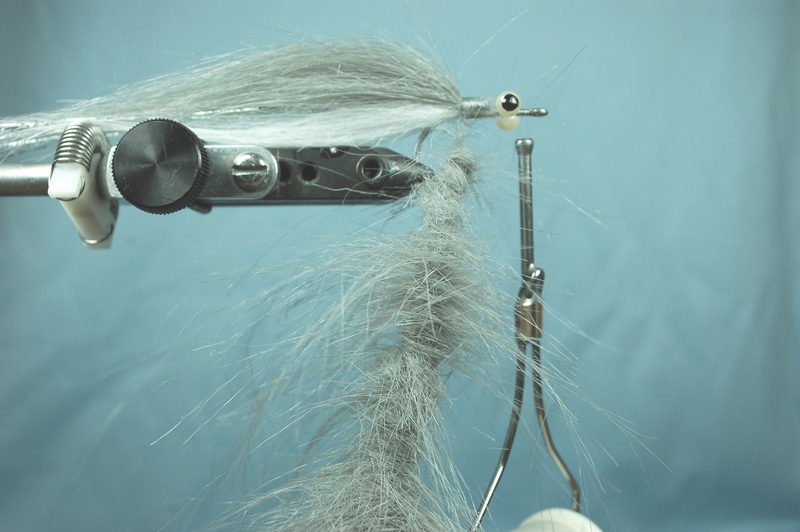 I remember visiting with you at the fly tying show. One trick I use is to tape 2 thick business cards together (on the short side) like a hinge. Lay the materials on one of the cards with the butts sticking over the side. Fold the cards together and they will sandwich the material making it easier to place inside the dubbing loop. Once you get the butts of the material in the loop, let the cards open and the material will slide out. For me, the bear has always been getting the material into the loop. 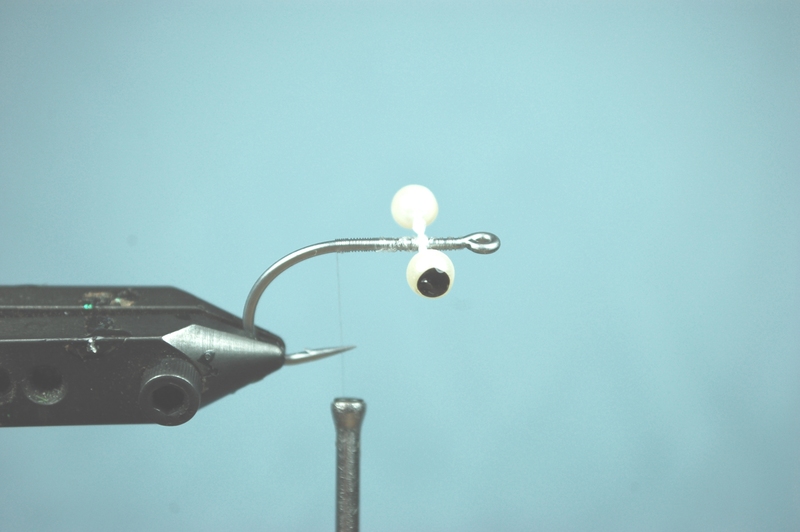 I also use weighted eyes for hook point up and tie the body with SF Flash Blend …Awesome ! 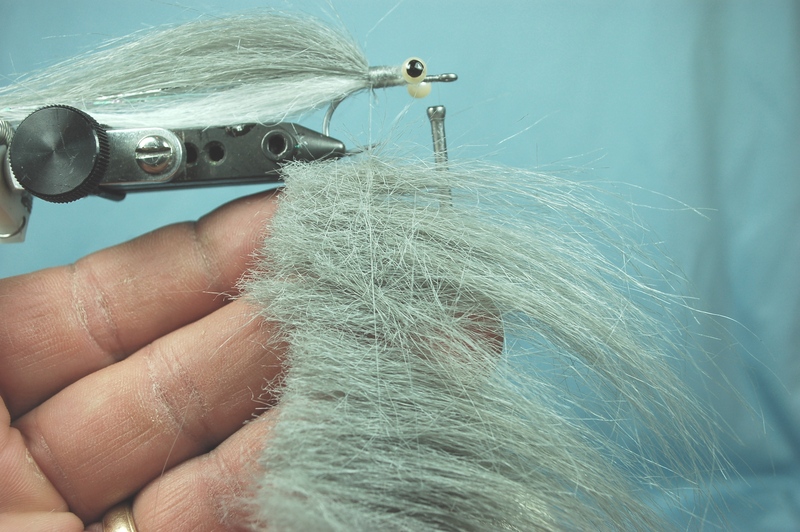 Casey…Hi my craft fur dose not dub well ,it wants to pile up and look bad when you lay it down. what type do you use? Mine come from craft store. I use Rainey’s Extra Select craft fur. Hairline Dubbin extra select also works well. Both brands have long full fibers that do not mat or tangle. Most craft store fur is too short for this pattern and mats badly.